Rose Quartz Angel Generator will make your friend beam with happiness. Made from using a stone of love â€“ rose quartz â€“ generator will replace negative energy with energy full of positivity and love. 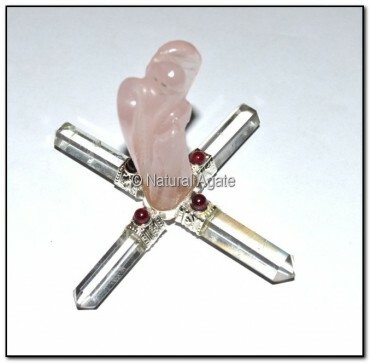 You can buy this angel generator from Natural Agate.